What do you look for daily? When everyone around us told us that we were not going to survive Mexico – that we’d be robbed or mobbed and everything else in between; that we were “defenseless” – we fought really hard internally not to believe them… And we still we got scared. We didn’t want to die. Fear got into our space and we began seeing EVERYTHING as a threat to our lives. We wouldn’t leave the house after sundown. We carried our bags strapped in front us. And with every 3-5 steps, we’d turned and looked behind our backs, just to make sure we weren’t being followed. We became paranoid. We began looking for danger. Well, we got what we were looking for – a near death experience. The experience shocked us out of our fear-based reality, and taught us to look for something else. Choose what you’re looking for. 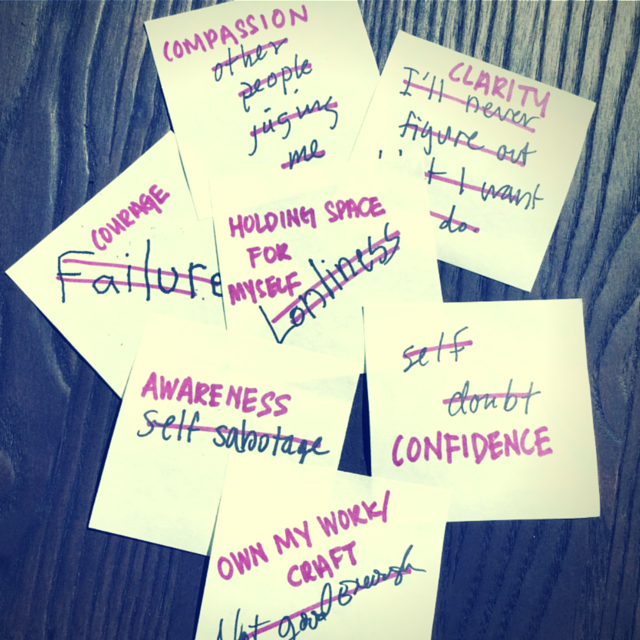 Remember your stack of “Current Fears” post-it notes from this one powerful exercise? How do you turn those fears into empowering beliefs that help you see what you can do – that you’d not only survive (like we did) – you’d triumph and thrive? Now you have a stack of empowering beliefs through which you see and manifest your reality. We call them our “power-ups” – reminders to choose what we’re looking for. So the next time you find yourself running into your deepest fears left-right-and-center, ask yourself – “What’cha looking for?” – and choose again. Leave a reply in the comments section below and share what “power-ups” you chose over those fears. We’d love to hear from you, and your choices might inspire others to choose better, too! P.S. Know someone who’s limited and bounded by fears and could do with some “shock therapy” (laughs included)? Share this and this post with them!